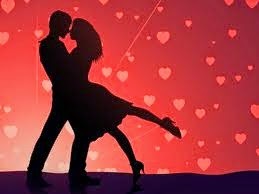 Reminder to plan your date and bring your friends for Date Night Dancing! 2734 South 1900 West, Suite C, in Ogden. We are excited to let you know about some new things we will be offering this season at Hollywood Vibe! As we have done for the past years in creating our city highlight videos, we would like to capture this from the dancers/teachers/parents perspective! *Thus we would love for you capture footage from Hollywood Vibe that you shoot in class, pre-function areas, in the hotel, city, and use the #hollywoodvibe & tag @hollywoodvibe. *Be Creative and your footage may be chosen to appear in our city highlight videos that are shown at the end of the weekend and on social media! *Be sure not to shoot competition routines though! Please bring proper attire for all classes and get ready for an awesome weekend!! Open Invitation for Boys Hip Hop Class - May 31@ 6 PM! All boys are invited to a Hip Hop Master class on Thursday, May 31, at 6 PM @ Ogden Infinity Studio (2761 S 1900 W, Ogden). There is no cost and this is a great chance to get a feel for our program and meet some of our instructors. This class is open to the public so come learn more about our Boys Crew Opportunity!! Infinity 2018-2019 Team Auditions - UPDATED INFO!! There have been a few updates to audition days and times so carefully review all details. If you received an info card at the master class in Brigham, please note the extended times for company auditions in Ogden on Thursday, May 24. BRING A WALLET-SIZE PHOTO (HEAD SHOT PREFERRED) TO AUDITIONS. Please have hair pulled back or up and bring lots of positive energy! MUST ATTEND Master Class with Liz Imperio!! !